Having made the decision to learn to drive, the next biggest problem you have is which Dublin driving school you should choose to take your driving lessons. Like many before you, you've likely searched 'Best driving schools in Dublin' or 'Driving Lessons Dublin' on Google and have been bombarded with more driving schools than you can count. They all proclaim to be the best but trying to figure out which website to trust and which to avoid is no easy task. 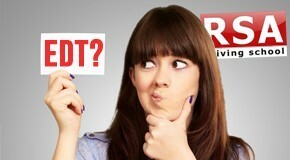 There is of course an easier way to make your decision. We believe that the only real way to make a choice is by listening to the testimonials and reviews shared by the successful students that have passed their driving test. We are proud of our track record and everyone of the students that have passed with us. Want to pass your driving test? After having a poor experience with another school I finally found the right instructor for me. I really felt he cared about my success. My instructor was the best. In just 3 lessons I went from having no confidence to driving through town with no stress. I cant recommend them more. A friend recommended RSA after he passed first time. Now I've passed first time as well. I can't believe it. My instructor was just brilliant. Leah passed her driving test with an almost clean sheet. Leah came to us after we helped her sister passed the test with us last year! 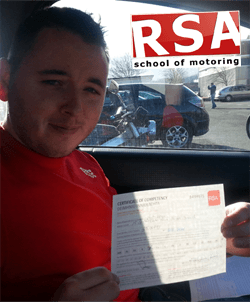 "I contacted RSA School of motoring 4 weeks before my test and had 4 lessons, including one on the day of my test. I heard about them through my sister, who after 2 failed attempts thought she would never pass her test. 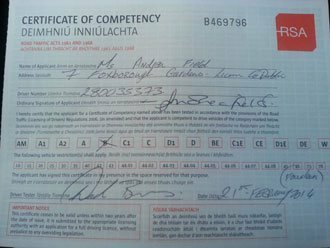 She found RSA School of motoring and after two lessons she passed her test in Tallaght without a problem. I was very nervous about doing my test and thought there was no chance I would pass but after just a few lessons, I became a much more competent and confident driver. I was taught how to correct any issues & bad habits that I had very quickly and I received excellent advice on passing the test. On the day of my driving test, I could not have felt more prepared and it paid off because I passed! 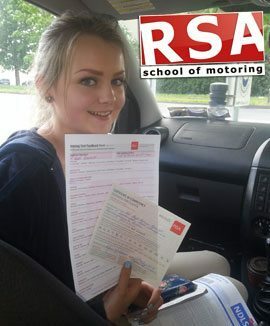 In my opinion, RSA School of motoring made me a much better and capable driver and I would highly recommend them to anyone applying to do there driving test and wants to pass quickly." 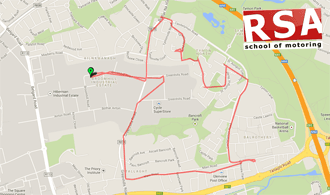 Have you enjoyed your driving lesson experience with RSA School of Motoring? Is gear changing stressing you out? No problem you can start or switch to automatic at any time. We can start and finish lessons at your home, school, university or workplace. 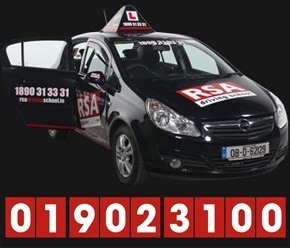 Most people have to complete the Road Safety Authority's Essential Driver Training Syllabus. We can help you get your EDT lessons done fast so that you can progress to passing the test. 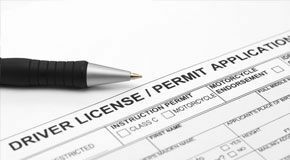 Please keep in mind you must have held your provisional for at least 6 months before you can apply for the driving test. We take your driving test success personally. We help you pass the test by pushing you to understand how the tester will think and see things on the day. We take remedial action focusing purely on the aspects of your driving that will hamper your chances of test success. We don't waste time on aspects of your driving that don't need refinement. This ensures you get the most benefit out of your time on lesson. It is an incredible fact that the EDT syllabus or the driving test itself doesn't prepare you for Motorway driving. Driving on Motorways is completely different than driving on our normal road ways and we are often contacted by drivers that want to do Motorway driver training. That's why we have created our own unique motorway driving course. Not only that, if you complete your 12 EDT syllabus with us and pass your driving test we will provide you with a motorway driving lesson FREE! We have an army of instructors all over Dublin. If you want a female instructor we have one. If you want to change instructors at any stage, you can.